Rev. Christine Meleriessee Hayden with Master Djwhal Khul share insights on the current moon cycle. On Wednesday, November 25, 2015 we are now experiencing the present full moon energies of November which occurs in the Sign of Gemini within the Sun of Sagittarius at 2:44 PM Pacific, 5:44 PM Eastern, and 22:44 GMT. This moon represents our Physical or Lower Mind (Gemini) of being very logical and content to not move forward in our lives; the sun brings forth our Higher Mind (Sagittarius) of being expansive while allowing the Divine Consciousness that we are from the Source of Light to be expressed within the physical self. As these energies contradict one another, it is a time to bring our Higher Essence into the Physical Essence to allow a balance to occur within our consciousness. “Unity” is the key word for this moon cycle. It starts first with each individual person by allowing the acceptance of their Higher Self into their Physical Self. Otherwise, we are divided and separated within ourselves. Without the acceptance of our Spiritual Self to become One within us, our experiences are divided into compartments of non-acceptance, judgmental thoughts, unclear emotions, and experiences that become very dysfunctional and not aligned with the True Self. This is exactly what is occurring upon the planet at this time. The duality is very strong of what is right, what is wrong. This causes much blaming of the other party for their actions when in truth it is time for each person to accept their responsibility upon this Earth. It starts with the Self first and foremost; then it can go into humanity. This moon gives us this opportunity to acquire Unity within the Self. It is a time to allow our deepest desires to become manifested within our world. It is the blessing that we have all been waiting for to receive. All of the trials that we have endured in the last few months are not for naught. It is a time to allow the full creation of our higher essence to become manifest within our thoughts and emotions. Now doing so, may not be as easy as we would like. It takes quite a bit of reflection of who we have become, allowing the old elements that were in place previously that no longer fit our consciousness to be removed, while accept the new essence that is being re-birthed within us. The 11:11 Doorway allowed these energies to come fully within us. It was a beautiful creative essence of our Angelic Self to become more deeply intertwined within our physical existence. The doorways that we have gone through in 2015 have assisted in this time of acceptance. 2015 was being called the Doorway to our Souls ~ Allowing a successful outcome to be accepted within our experiences of being an awakened soul in the physical earth. We have experienced many challenges of the Equinoxes, the Solstice, the Eclipses, and then the 11:11. This moon represents the fruit of our labor to become manifest within our world. It is a very powerful entryway in preparation for the New Year. It is a time to truly reflect on our achievements in order to remove the elements that no longer work for us. This moon is a focused, fiery energy that will pinpoint energy patterns within our consciousness. It is a direct frequency of light that assists us to know more of what we are experiencing and go deeper into the reflection of each moment. The old elements that are represented by the Lower Mind are being broken apart in pieces by the Higher Mind so that the existence of what we have held previously will be healed and regenerated right within our Hearts. The Divine Heart essence is being expanded at this time. It is important to utilize our breath to go deeper into ourselves. Allow the truth to be revealed; there is no reason to hide away in silence. Allow this moon cycle to be the rebirth, to be the blessing that you are asking to have within your life. It is a time of great sacredness and joy. As our Hearts expand, we connect to each other in loving grace and acceptance that our True Essence is being revealed to dance in the light of the Moon and the Sun. It is our time to shine. Blessings for a wondrous moon experience. I believe that this is what we have been waiting for. Bask in the glory of the Light of your Soul as our time has now come to be all we desired to be. Walking Terra Christa held their Full Moon Ceremony with Master Djwhal Khul and the Native Elders which is now available for download of the MP3 file by clicking the link.. We traveled etherically to Ayers Rock in Central Australia which is the Solar Plexus Chakra of the Earth for a very sacred ceremony. 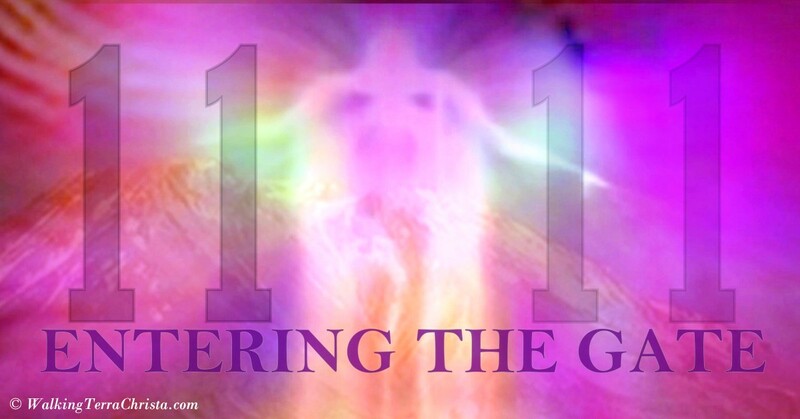 In preparation for the 11:11 WTC held a special Ascension Clinic Series Program; we felt that this program is crucial for the healing of souls in preparation for acceleration that we are proving and Holidy Special on the entire series. 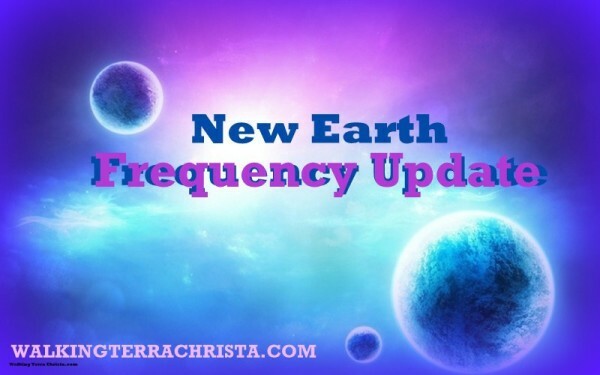 To learn more, please see information via our website, Ascension Clinic – How to Transcend Energy.